Treatment and prophylaxis of Iron, Folic Acid and Zinc deficiency especially during pregnancy and lactation. Adult : one capsule daily before food. 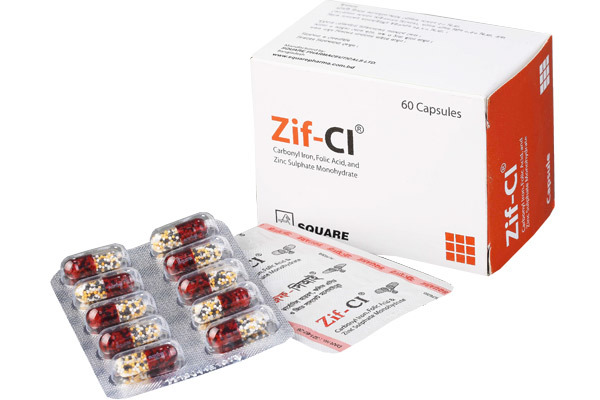 Zif-CI® TR Capsule: Box containing 3x10 TR capsules in blister pack.